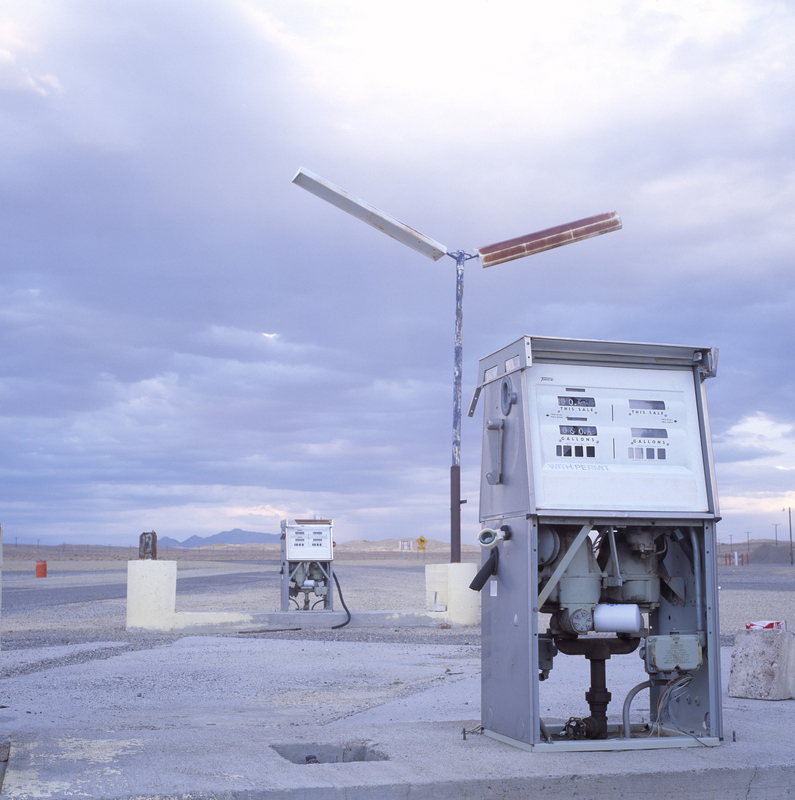 One of the hottest topics in the markets lately has been oil prices. Questions like “Where is oil headed?” have become part of daily conversations and plagued news headlines. I think it is important to cut through the noise, take a step back, and evaluate the fundamentals to see the realities. Perhaps. 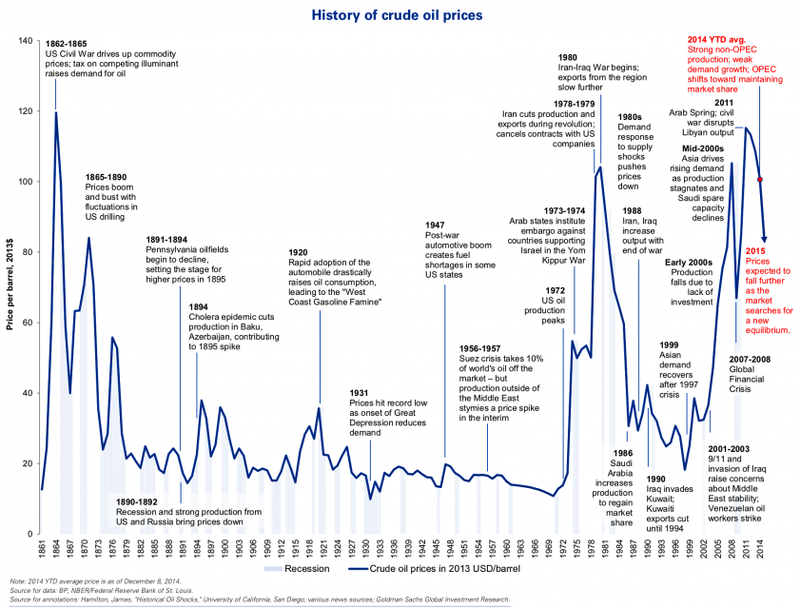 The historic price of oil has been between $20 and $60 a majority of the time since 1870, and this is after converting to 2013 prices (see chart below). Further, after a large spike in oil prices, such as the one we have exhibited over the last five years with prices over $100, the historical price of oil has tended to reach for the lower part of the range. Investors seem to have become accustomed to these high price levels and forgotten some of the historic ranges, including the ones exhibited in the early 2000s. What Is the Target Range? Even if oil has a rebound, it may not necessarily hop all the way back up to the $100+. But many wonder what the target range for oil actually is. A good way to look at something like this is to determine minimum levels that companies are willing to accept. These are called breakevens and are determined by multiple factors. In general, the breakevens for companies are minimum prices they can charge for a product and still make a profit. This will differ by company depending on the costs of specific products. If you look at the breakeven price for every oil company project through 2020 (see chart here). It is quite a broad range, but it appears that most fall between $40 and $80. The midpoint of $60 could very well be the target range through the end of the decade. How High Can Oil Go? Individual countries also have breakevens. For a country, the breakeven is the amount of oil income (typically through taxes) it requires to off-set budgeted costs of production. Some of these budgeted costs can be cut, but doing so may be at the detriment of the country’s well-being, such as delays in infrastructure enhancements. Here in the U.S., oil production does not generate a large amount of tax revenue, so lower prices are not as big of a deal (they may even help the economy by putting more money in consumers’ pockets for spending elsewhere), but for oil-dependent nations, such as the ones that make up OPEC, cheap oil could be a nightmare. Many oil producing countries actually have breakevens well over $100 (see table here). With pressure mounting from governments in these countries, oil production has actually increased in an effort to boost revenues given cheaper prices (typically through the law of supply and demand, the two actions needed to raise the price of oil are a cut in supply or an increase in demand). OPEC generally meets twice a year to discuss what to do with production levels. It did not curb production at its last meeting, but with continued price depreciation, all eyes are on the next meeting coming up on June 5. The graphs and charts contained in this work are for informational purposes only. No graph or chart should be regarded as a guide to investing. The views expressed herein are exclusively those of CLS Investments, LLC, and are not meant as investment advice and are subject to change. No part of this report may be reproduced in any manner without the express written permission of CLS Investments, LLC. Information contained herein is derived from sources we believe to be reliable, however, we do not represent that this information is complete or accurate and it should not be relied upon as such. All opinions expressed herein are subject to change without notice. This information is prepared for general information only. It does not have regard to the specific investment objectives, financial situation and the particular needs of any specific person who may receive this report. You should seek financial advice regarding the appropriateness of investing in any security or investment strategy discussed or recommended in this report and should understand that statements regarding future prospects may not be realized. You should note that security values may fluctuate and that each security’s price or value may rise or fall. Accordingly, investors may receive back less than originally invested. Past performance is not a guide to future performance. Investing in any security involves certain systematic risks including, but not limited to, market risk, interest-rate risk, inflation risk, and event risk. These risks are in addition to any unsystematic risks associated with particular investment styles or strategies.